The Cuero Heritage Museum, located in the Cuero Federal Building, was the former Post Office built in 1915. The Museum offers many wonders and is dedicated to celebrating the people of Cuero and their unique heritage. Visit the permanent and rotating exhibits to visually explore the history of this quaint, yet fascinating town. Numerous permanent captivating collections include, Cuero made famous by its "Gobbler Pride" and love of the hometown football team, "The History of Cuero Gobbler Football". When you walk through, you may just hear, "Go Mean Green" in the background and the crowd cheering. Another permanent collection upstairs features over 2,300 delightful reamers in every shape and design you can imagine lends way to juicing in a new light. 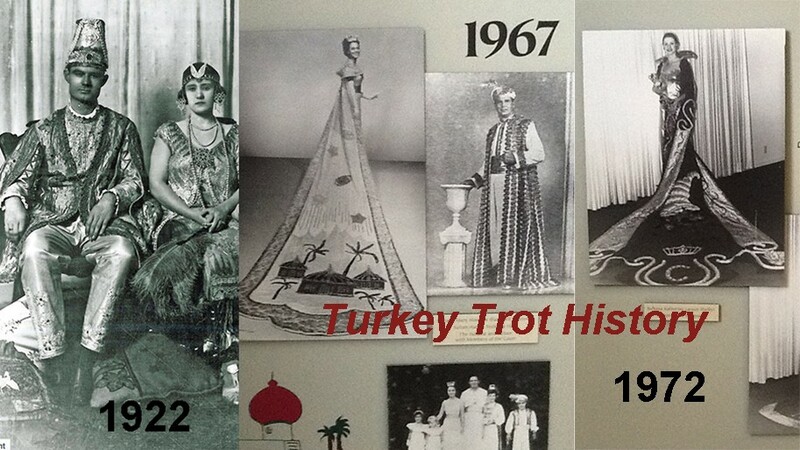 The glamorous and glittery yet infamous "Turkey Trot Exhibit" will leave you in awe, now with a lush Turkish Palace. The Coca Cola Exhibit will leave you craving a coke, and the WWII Exhibit will wow you with local heros and the story of Brayton Flying Field. The other permanent and rotating exhibits showcase adventures around every corner. So visit and learn why this historic Texas town in the Heart of South Texas is anything but ordinary and everything extraordinary. City of Cuero owned and operated. The museum will host an opening reception for this exhibit on Thursday, March 7th from 4 to 6 p.m. The Cuero Heritage Museum is located at 124 E. Church Street in Cuero. Ford, a retired parole officer, avid outdoorsman and hunter, developed his inspiration for his collection in the late 1980s from the 1980 movie, The Mountain Men, starring Charlton Heston and Brian Keith. Realizing there were regular buckskinner (reenactor) gatherings called “Rendezvous” all over the state, he decided to attend an event. He quickly made friends and was hooked on the outdoor experience, the folkcrafting and public interactions. Ford soon constructed his own buckskinner/mountain man possessions to become as realistic as possible. The exhibit represents what was available for a trapper, fur trader, or mountain man willing to risk their lives for the money that animal pelts would yield during the early 1800’s time period. Nearly everything in this collection that isn’t a tool or weapon was handmade by Ford in the 1980s and 1990s - some items taking months to complete. Through the years, you could find Ford educating the public at area county museums and schools. When going to schools, he was known to take along his pet donkey, Snickers. The look of surprise on the faces of students when Ford walked into a gymnasium dressed in full buckskinner/mountain man gear with Snickers at his side gained the full attention of all in attendance. The mission statement of the City of Cuero Museum Department is to operate the historical and heritage sites owned by the City of Cuero such that visitors, residents and young people not only learn about the City and its people, but also understand the significant contributions individuals have made to the City, State, Nation and the World. The goals of the Cuero Heritage Museum are to recognize, preserve, and interpret through exhibits, collections, and educational programs an accurate history of the physical, artistic, political, and cultural forces, events, and people that have contributed to the establishment of the City of Cuero, Texas, and the civilization of which it is a part.